As expected, my refurbished PS3 arrived this afternoon. The turnaround was a bit slower this time, two days shy of 2 weeks, but I’m not complaining. Opening up the package, the first thing I noticed that it wasn’t packed very tightly, as the PS3 could move around inside the box slightly. Not a good sign. The second thing I noticed was that the PS3 case wasn’t snapped in properly at one end (front, right hand side was popped up). This is easily fixed of course, just apply pressure to pop it back in, but again it’s not a good sign. Starting the PS3, doing all the usual set up stuff, the freezing problem (right after the Sony Computer Entertainment fanfare music plays) is still present – it must be something to do with certain settings or something, but I did a quick system restore (not the full one), and it seems to have fixed the problem. The PS3 came with firmware version 2.42, so I’m a little bit afraid. I’m also afraid to update to 2.50, due to the various problems that have been reported so far. I think I shall skip using the PS3 much until 2.51 comes out and people have volunteered to be guinea pigs for it. I did notice that, unlike my last refurbished PS3, the fan noise is more smooth. The last one had a creaky fan which I did not talk about, it sounded like it needed some oiling. The problem with refurbished PS3s is that you don’t know how it has been used by the previous owner, and while the faulty parts were replaced, the parts that aren’t faulty (but have been used near to death) are still in there. I much prefer Microsoft’s repair policy, where they try to repair your own console before giving you a refurbished one. So wait I shall for 2.51, which means there will be at least one more post in this series of blog posts. Hopefully, that one will be the last one, because my warranty runs out next month and even if it didn’t, I don’t know if I want to go through everything again. Update: Bad news. The wireless remote/controller drop-out problem has happened again, and what’s worse, plugging in the controller doesn’t work anymore. I had to do a soft reset, but the PS3 refused to reboot (the green light keeps on blinking), and so a hard reset was the only other choice. Not surprisingly, everything worked again after the restart. I’m now updating the firmware to 2.50, since I have nothing to lose anymore (and Sony tech support will probably ask me to do it anyway). I think I might have to send in my PS3 again. Damn. Good news! My refurbished PS3 arrived today, and I’ve hooked it up and tested it to make sure it works. I even finished watching Memento, although I feel like I’m the one with the memory loss as I try to make sense of the story. So the whole story (in the right order, of course) is that I sent in my PS3 on the 10th, Sony acknowledged that they received it a exactly week later. 2 days after that, on the 19th, I received an email from Sony that my PS3 was being sent out. And the PS3 arrived at my home on the 22nd, which is today. So overall, a 12 day turnaround, or basically 7 business days including today. Not bad. Again just to stress this has only been my experience, and at best, only applies to people in Australia. Some will receive their PS3 even quicker, while others will have to wait a lot longer. A very quiet week this week. Don’t know why, but it was really just the same discussions last week being rehashed again. Maybe the financial meltdown on Wall Street has something to do with it, or maybe last week’s topics were just too interesting (Spore DRM, mainly). I posted the analysis of the August 2008 NPD figures, and my broken PS3 should be returned to me early next week (fingers crossed that it’s properly fixed and remains so). 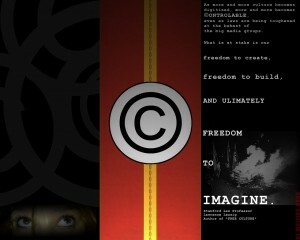 Let’s start with the copyright news. Police officers in Chicago are now reporting to the RIAA before their own bosses, in policing copyright infringement for the RIAA. How do you feel about tax payer funded enforcement officers, whom are licensed to use deadly force, now working for the a private industry group to protect their profit margins. Not feeling so good? Well, that’s the sad reality these days. 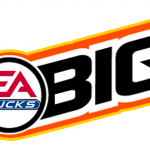 Last week was all about Spore’s controversial DRM, and after a lot of public pressure, EA has relented and eased the DRM restrictions. You’re still limited to one account per copy of the game, and the installation limits still exists, but you are also now able to de-authorize computers that the game has been installed on, so you can install the game on as many computers as you need, except there is a limit to the number of computers the game is installed on at any one time. Sounds like a fair compromise, but does this really stop the pirates who just rip the entire DRM scheme out from the game and make it have unlimited installs? Sometimes I think that DRM isn’t aimed at pirates at all, but at legitimate users as a way to control their spending. In the past, you can install the same game as many times as you want. But now they want to change this, and it’s as if publishers now want to make you pay 3 or 4 times for the same thing in the same household. I can only see this helping piracy to thrive, because being cost free is a huge incentive, but even to those who want to pay for games, having a copy that’s less restrictive would be nice. So I can see people buying the game, but still downloading the pirated version just so they can use it the way they want to. 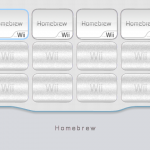 Will Wii Homebrew increase piracy? 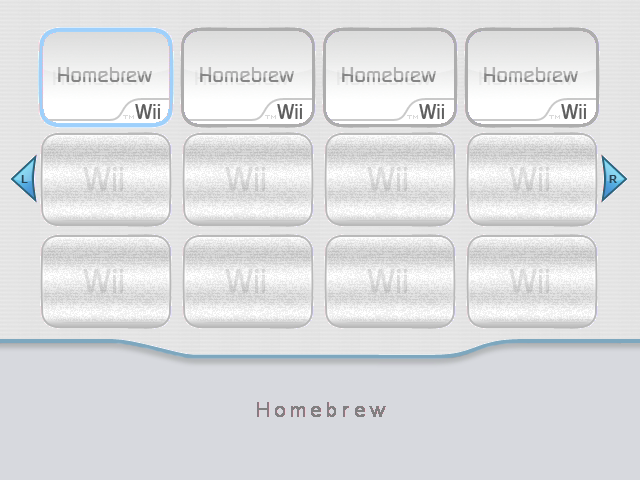 Onto gaming piracy of a different kind, the Wii homebrew community has been working on many ways to hack the Wii. One of the very first game on the Wii, Zelda: Twilight Princess, had a buffer overflow exploit in it that allowed custom made applications to run on the Wii, including home made games. And as you would expect from the ongoing development of this hack, there is now a software solution to play backed or downloaded up Wii games, opening up a whole new level of piracy for the most popular console in the world. There was a YouTube video of it in action playing, ironically, a backed up version of Twilight Princess, but it has since been removed. Software solutions are easily fixed though through firmware updates, so I’m sure Nintendo will try to plug this loophole very quickly. 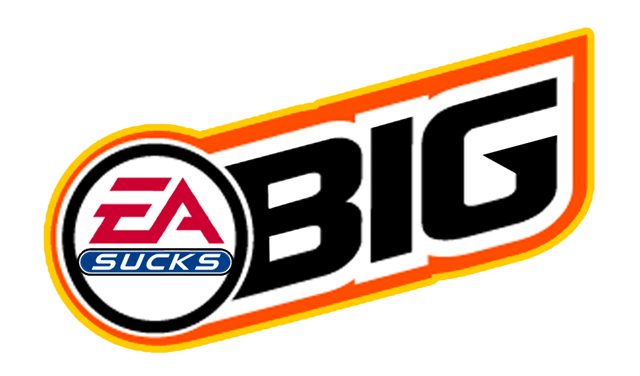 But then again, the same principle applies to the hack it self, in that it’s software and so can be easily modified to skip around any attempts to shut it down from Nintendo. Or one can just forgo firmware updates. Onto HD news now. Last week, Blu-ray sales had their best week in the Nielsen VideoScan charts, accounting for 12% of the top 20 titles by sale volume compared to DVD. In other words, it means that out of the top 20 selling titles by volume, 12% of it was Blu-ray, with 88% belonging to DVDs. That may not sound like much, but the usual percentage for Blu-ray is under 8%. But it turns out that was just a one-off, as sales dropped back down to 8% this week. It seems that the Blu-ray only re-release of Transformers had a huge effect on sales, but it didn’t last long. More meaningful figures will emerge once Iron Man and The Dark Knight hit shelves, then we can see how much of an impact Blu-ray is having on the home video market. Don’t forget to keep a bookmark on this forum thread, where I’ll be posting the sales numbers every week. 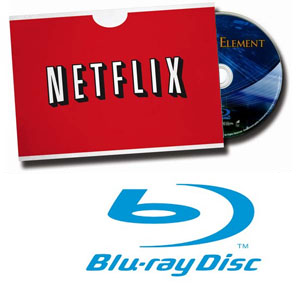 NetFlix says that Blu-ray won’t be having much of an impact in 2008. The sales figures that I’ve been posting does back this up, where the Blu-ray sales percentage compared to DVD has been around 5 to 8% throughout the year, with peaks for Blu-ray whenever a new hit movie is available. The last 6 months, a short while after Toshiba announced the end of HD DVD, hasn’t seen a dramatic rise for Blu-ray sales at all (still averaging around 6-7%, which is better than before HD DVD’s fall). NetFlix also believes that Blu-ray prices will fall soon, which will make it more appealing to consumers. I wish that were true, but I’ve kept a close eye on prices ever since last year (for updating my Blu-ray and HD DVD deals page), and if anything, they’ve gone up after the fall of HD DVD, not down. The retail price is the same ($27.95 at Amazon for “hit” titles), but there has been less sales (2 for the price of 1 deals are one, replaced mainly by 3 for 2 deals where the prices are hiked up for the sale). The number of sales are still good (check out the deals page now, and there are half a dozen sales right now), but the prices are higher. The situation is the same in Australia, where older titles are now available for $25, but new titles are still $40-45, which is ridiculously high (the highest price for DVDs is $30, and most are available 3 months after release for under $20). Price drops will help Blu-ray, but it negates the whole point of having a new (and more expensive to manufacture) disc format if profits can’t be increased through price rises. If the high priced Blu-ray isn’t selling and isn’t providing studios with more profit, then you can say that Blu-ray has been a failed experiment in trying to market a more expensive movie format to replace a cheaper one. If Blu-ray prices drop to DVD levels, then studios won’t have benefited much at all, except to replace a cheaper to manufacture format with a more expensive one, albeit providing consumers with a better product (but with more DRM). To further back up my point about Blu-ray being an experiment in trying to jack up prices of home movies, the BDA says that Blu-ray price drops are not happening anytime soon mainly because Blu-ray isn’t selling in as great numbers as they would like. So Blu-ray will remain expensive and unpopular because it’s unpopular? I think studios need to come to their senses and see that Blu-ray won’t help them increase profits, and so they should accept that and lower prices. I still like Blu-ray because I like HD, and so I would want it to succeed. Proper HD video is better than upscaled DVD for sure, but not worth twice as much money, as the studios seem to think. And while H.264 is on it’s way to becoming the industry standard for this generation of video, On2’s latest codec claims to be able to save up to 50% on bandwidth compared to H.264. H.264 is already very efficient, and if On2’s codec can be even more so, then that’s good news for online video streaming and downloading. And finally in gaming, the Xbox 360 is finally having a great time in Japan, as it rose to the top of the sales charts, even going above the Wii. It’s all very “one-off-ish”, of course, as the reasons for the sales surge are many. Low stock from a previously high demand game, a new game that’s attracting users, the price drop and the increased HDD, all helped to make it number one in Japan for the first time ever. It’s not easy for an American console to make it big in Japan, and I think Microsoft has finally understood the reasons why – games matter! And getting the Japanese game producers on-board is more important than anything there. Staying in Japan, the PS3 has a new firmware but it’s for Japanese consoles only. You can install it if you live outside of Japan, but it’s not compulsory (and it doesn’t to anything). I’ve still not seen any response in relation to firmware 2.42 and the Blu-ray drive problem – I’m still thinking it’s more than a coincidence, but also more than just a firmware problem. My current theory is that 2.42 was released to “flush out” the consoles with bad Blu-ray drives – the bad Blu-ray laser is a design fault for quite a few PS3s, and the problem existed before 2.42 with similar symptoms. The fact that after 2.42 came out, the report of problems suddenly increased suggests there is some relation there. But I don’t think 2.42 “breaks” perfectly working PS3s, but it might help those problems show up sooner. That’s all the news for this week. Not much, I know. Hopefully next week will bring more news. See you then. I’ve noticed a disturbing trend recently. Those that have read this blog regularly will have noticed too. It concerns the tactics that organizations such as the RIAA and MPAA have been using to fight piracy: by killing off privacy. Those in the UK will be familiar with the recent agreement between the BPI (British Phonographic Institute) and UK ISPs. The deal basically forces ISPs to spy on their users and to report piracy to the BPI for further prosecution (or is that persecution). On the surface, this sounds fair enough. If you pirate stuff, then you should be prepared to face the consequences. Legal music downloads and movie purchases are cheap enough these days, and casual piracy means that you can always get make less than 100% legal copies of stuff from your friends’ legal copies. Now, perhaps I’m overreacting just a bit. I’ve always been a fan of conspiracy theories, and so maybe this is just that side of me looking to be outraged. But the Internet is now possibly the most frequently used communications platform we have today, at least for people in the developed countries. If private companies are now allowed to spy on our most intimate communications, all in the name of protection intellectual property, then where will it stop? Random computer searches? Which is now easier than ever thanks to spyware. Searching laptops at airports for pirated material? Sounds far fetched, but amazingly, it’s already been proposed. And when you look at the current political climate around the world, what with terms like ‘enemy combatants’, ‘Gitmo’ and ‘rendition’, plus ‘third degree interrogation’ techniques such as ‘waterboarding’ all becoming accepted parts of democratic society, is this really the direction we want to head in (and that’s not even mentioning those other countries that don’t care about human rights). Going back on topic slightly, I know a lot of people who hate the movie “Starship Troopers”. In typical Paul Verhoeven style, it was crass, loud, extremely violent and many claimed that it promoted piracy. I thought it was a brilliant movie because of the message that it delivers … that any society can turn into a fascist one, and we probably wouldn’t even notice. Seeing Doogie Howser M.D. in an Nazi SS like uniform, and being one of the “good” guys, says it all really. In fact, all the good guys in the movie promoted fascist ideals, and that’s also why many people were outraged. But were they outraged that this was a movie portraying fascists as the good guys (and gals), or were they more outraged by the fact that it was so easy for themselves and other moviegoers to start cheering for symbols of fascism? And should we start embracing corporate fascism just because we want to do the right thing and respect the rights of artists. If this the cost of anti-piracy, then sign me up for the Swedish Pirate Party. Once again, I’ll go through all the news items that have gone through the Digital Digest website and forum for the week. Starting with copyright related news, Sony is once again in the headlines with Sony’s chief lawyer person saying that copying songs that you have already purchased, such as from the CD to your computer, is considered stealing. This betrays the intention of content owners such as Sony, who want you to buy a copy of the movie for every single device that you want to use it on. So if you have a PS3, a PSP, a Walkman video player and a Sony Vaio laptop, then you’re screwed. And just in case you are wondering what could happen to you if content owners find you guilty of copyright infringement, a woman found guilty of sharing 24 songs has been ordered to pay $US 220,000 to the RIAA. Although I’m still not sure whether it’s a copy protection related problem or not, but Fox’s new Blu-ray movies featuring BD+ copy protection has been found to cause problems in certain players, and requiring firmware updates to fix the problem (and if you’re lucky, the required firmware might just be available). Later reports suggested that it was the BD-J usage in these discs causing the problem, rather than BD+, since a disc without BD+ from Fox also suffers from similar problems. I don’t know what’s worse, playback failure due to BD+ or playback failure due to a basic standard feature like BD-J when all the DRM layers appear to be working. It seem the priority of the Blu-ray engineers might have been to get the DRM working first, and then worry about the other small features like playback. Onto gaming news. The Halo 3 version of the Xbox 360 hardware appear to be using a new 65 nm CPU, which is probably Microsoft’s solution to the overheating problem the console suffers, which is indicated by red rings showing up on the 360’s power switch indicator. While Microsoft has been generous in extending the warranty from the initial 90 days, to a year and now 3 years, perhaps they can learn something from Nintendo when it comes to dealing with design faults. The Wiimote strap was notorious for breaking and usually smashing into people (if you’re lucky) or expensive electronics (not so lucky). A better strap was introduced, and Nintendo offered to replace all older straps with the new ones without cost, and this seem to solve most problems. Now, Nintendo has gone a step further by giving all existing Wii owners up to four non-slip jackets for Wiimotes free of charge – all you need to do is to give them a call with your details, and they will send them out to you. All new Wiimotes will ship with the jacket from now on. Now this is what I call commitment to service. They admitted the problem, found a solution and offered to fix everything for free even though it will cost them more than 17 million dollars – if only all companies were like this (but I guess the 360’s problem was more serious, and they have already committed a billion dollars to fix the problem). The big PS3 news of the week has been the announcement of a €400 40 GB PS3 for the EU market, set to sell for €400. The catch is that it has no backwards compatibility with PS2 titles at all, limited to only 2 USB ports and no Compact Flash/Memory Stick and SD slots. I think the console will have a matte finish too, as opposed to the glossy finish of the other versions. The bad news is that once the fully featured models sell out, this cut down version will be the only one available in Europe (and I assume, in Australia too). This is the 5th version of the console to have been released as Sony tries to make the package more attractive price wise. In HD news, Acer is to launch what it claims to be the first PC with a combo drive, capable of playing both Blu-ray and HD DVD movies. As a supporter for format neutrality, I hope it turns out to be the first of many. Back to the Fox Blu-ray playback problems mentioned earlier – it turns out that the problem was related to the BD-Java usage of these discs, rather than a BD+ issue, at least with the “Fantastic 4: Rise of the Silver Surfer” disc. This once again highlights how Blu-ray is playing the catch up game when it comes to interactivity, with HD DVD’s equivalent HDi being used from day one to great effect (albeit not without it’s own compatibility problems at the start). When HD DVD are already starting to toy around with interactive online shopping via HD DVD movies, Blu-ray is still struggling with basic interactive content like Picture-in-Picture. And when Blu-ray profile 1.1, 2.0 are rolled out, expect more problems as discs requiring 1.1 or 2.0 players might simply fail on 1.0 players (most of which lack the secondary video/audio decode and persistent storage required to upgrade to 1.1). But the good news for Blu-ray is that the new layer of DRM, BD+, appears to be working. Meanwhile, a Japanese HD DVD presentation appear to show several Spielberg directed or produced films that will be released on HD DVD, at least in Japan. Films like Jaws, E.T, Back to the Future and Jurassic Park were shown. Spielberg has been quoted to be a Blu-ray supporter (I suspect he has been fed some non truths by Blu-ray supporter friends of his, such as how Blu-ray has better quality or how HD DVD is doomed). His movies were left out of Paramount’s HD DVD exclusive deal, for example, so it suggests that at the very least, he doesn’t want HD DVD exclusivity for his movies. The only one of his films scheduled to be released on HD has been Close Encounters on Blu-ray. But with many of his films “belonging” to HD DVD friendly studios, namely Paramount and Universal, it all depends on who has control over the release of his movies. Spielberg has always been slow to get on the next-gen video train, if you can recall how long it took his movies to come out on DVD.